She looks like a Goddess. When the Oscars were on, I was looking forward to seeing your illustrations of the various gowns and I was wondering which gown you would illustrate. 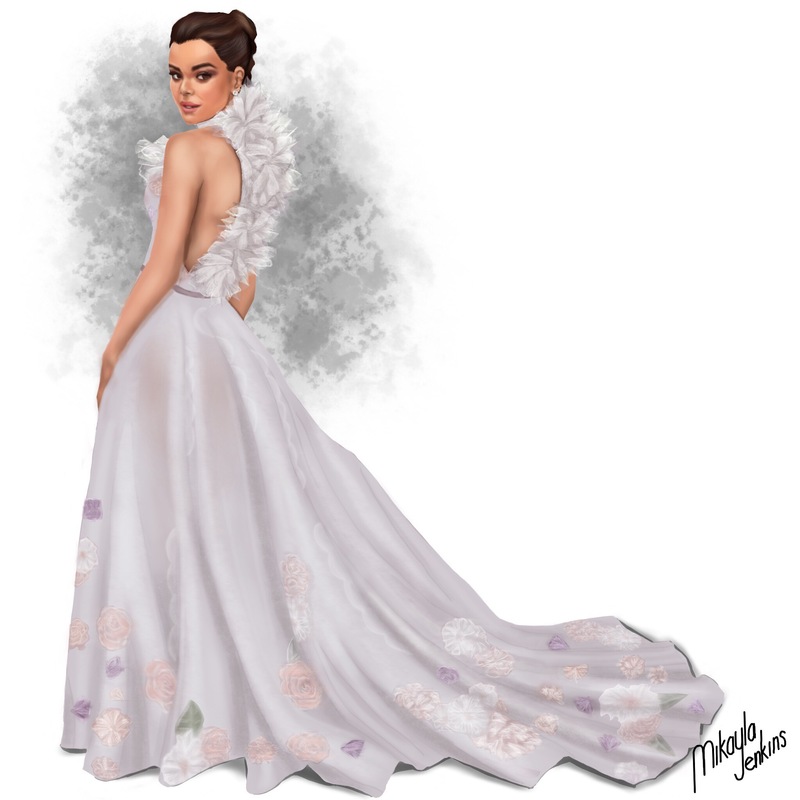 Your illustration of this gown is gorgeous. I like how you have the touches of grey in the background but you still notice the gown. As well, the gown looks soft and flowing. I also like the different shades of colour to her skin. I hope you have this beautiful illustration framed Mikayla. It’s gorgeous. Thank you for your kind words, Joanna! I’m a little sad that awards season is over, because I enjoy binging on all the incredible red carpet fashion. But there is the Met Gala to look forward to in May.